"Inspiring, and aspiring to choral excellence"
The Christchurch City Choir has a long and proud tradition of delivering both sublime symphonic and charming eclectic choral works to city audiences. From Handel's 'Messiah' and Beethoven's 'Ode to Joy', to modern masterpieces like Eric Whitacre's 'Virtual Choir' pieces and Karl Jenkins' 'The Armed Man - mass for peace', the Choir sings works that are thrilling, interesting and beloved. Would you love to sing in the Christchurch Town Hall? 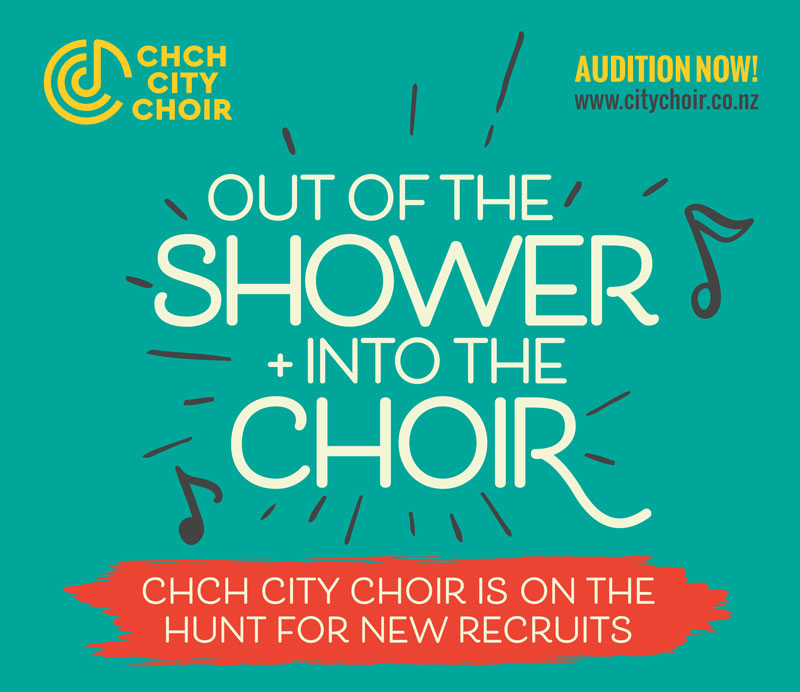 The Christchurch City Choir welcomes new singers of all ages and backgrounds, so if you can read music and have a joy of singing, we would love to hear from you. Saturday 7th December - Messiah at the Chch Town Hall. Ticketeks on sale soon through Ticketek. As a not-for-profit arts organisation, we rely heavily on the generosity of our supporters and sponsors. If you would like to know more about sponsorship opportunities for the Choir, or would like to make a donation, please contact us.